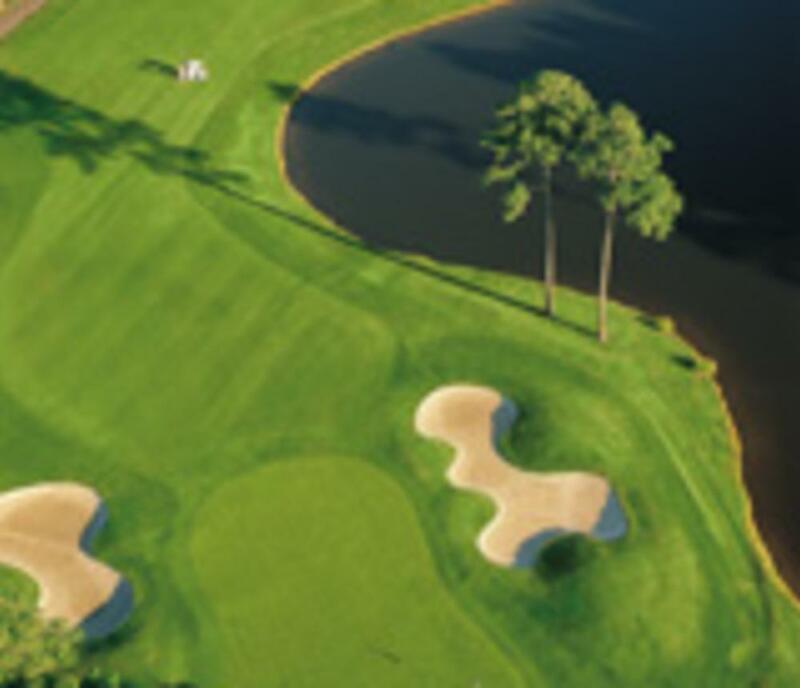 Devilish creation of Rees Jones, who designed this 6,766-yard, par 72 course with lakes, interesting fairway angles, challenging greens & 61 sculptured bunkers. Chosen one of "America's 100 Best New Courses"by Golf Digest Magazine. Pro: Russ Dudson. 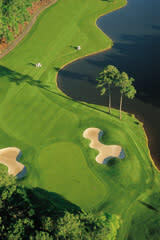 Yardage/Rating/Slope: Championship tees - 6,766,73.3, 130; Regular tees - 6,030, 69.7, 118; Forward tees - 5,624, 67.9, 118.